Advocating the Rights of Children (ARC) has held a civil society consultation on the Child Protection Bill in association with UNICEF at Kurumba Maldives. Participants included civil society members that work with children as well as those who contribute to child protection, disabilities, gender equality, family issues, substance abuse, as well as on civil and political rights. The new bill, if adopted will replace the Child Protection Act of 1991. The proposed bill addresses many gaps in the existing act and introduces fundamental changes to the child protection system. The adoption of the bill will be a key milestone in its attempt to improve the realization of the right of child in the Maldives, since ratifying CRC in 1991. 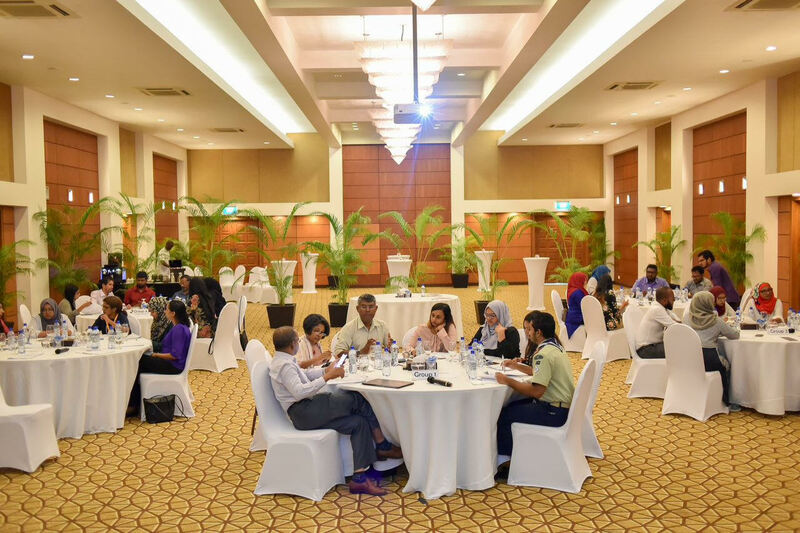 Civil society plays an important role in child protection in the Maldives, including advocacy, awareness, pro bono legal services, and service provision. The objective of the consultation was to brief civil society on the bill as well as to give an opportunity for all members to be involved in the process of reviewing and making recommendations to the proposed bill. The consultation focused mainly on six parts of the bill: rights and responsibilities, care and protection, implementation and monitoring. Furthermore, Civil Society’s recommendations and suggestions will be compiled and submitted to parliament and other relevant institutions. Following this consultation, ARC will soon hold a Children’s Consultation on the Child Protection Bill in partnership with UNICEF to include children’s voices and opinions on the bill that will directly affect their lives. ARC believes children’s perspectives will enhance the bill and make it more relevant and effective.